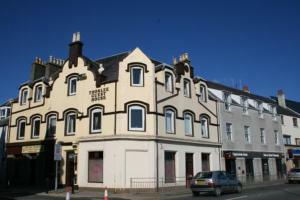 Superbly situated in the centre of Stornoway, Thorlee Guest House offers luxury en suite rooms. With views across the harbour, the ferry terminal is a short walk away. All rooms are spacious, contemporary style and have a flat-screen TV, free internet access and a silent fridge stocked with a full continental breakfast.Free bottled water and a choice of red or white wine is available in each room for guests. Local area amenities nearby include a museum, sport centre and Stornoway Golf Club. There are also a number of restaurants, bars and shops close by.Lewis Castle and its surrounding woodland are just 5 minutes' walk away. Free parking is available for guests, and self-check-in is available at the guest house from 12:00.